My husband and I made these art display racks recently and I wanted to share the steps we used. 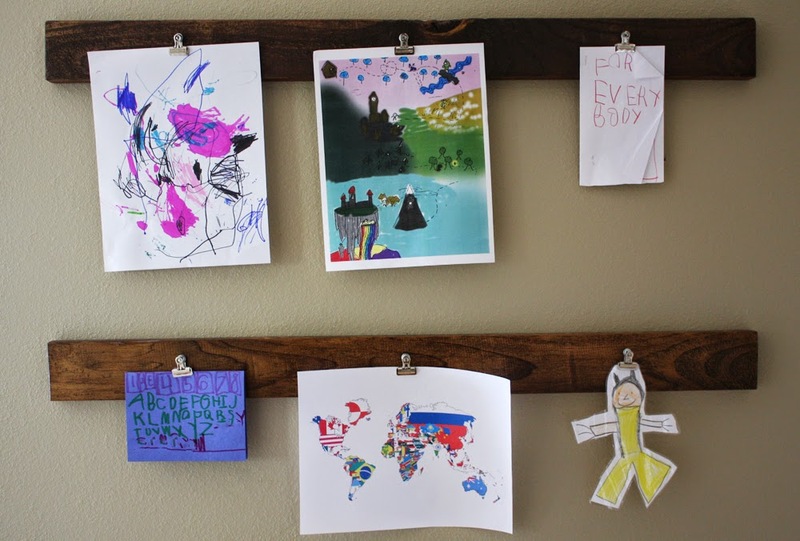 The racks were inspired by these cute art clip racks from Pottery Barn Kids which are no longer available (they were around $40 each plus shipping). We made 6 for $22 total. 3. Starting from the left, drill pilot holes 1" from the top at 6-7/8", 18", and 29-1/8"
4. 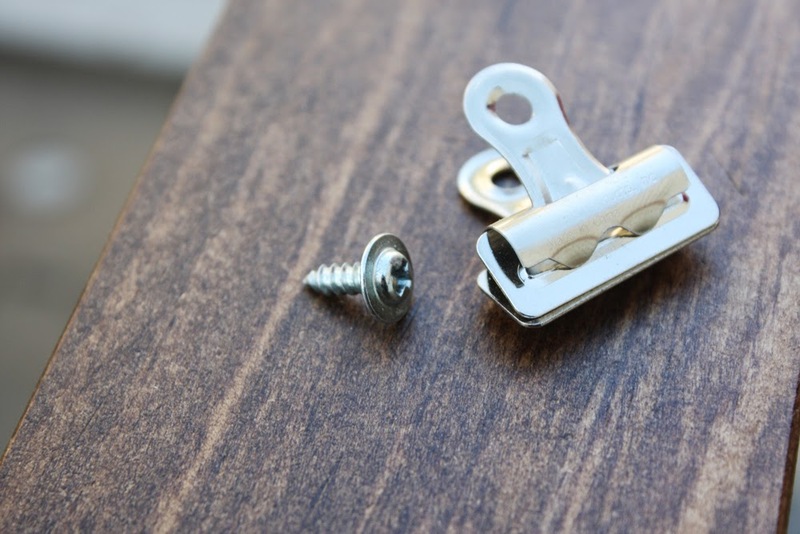 Put a truss head screw into the back hole of the bulldog clip as shown above (the truss head screws are nice because they have a larger head that is kind of like a built-in washer to prevent the screw from slipping through the hole). 5. 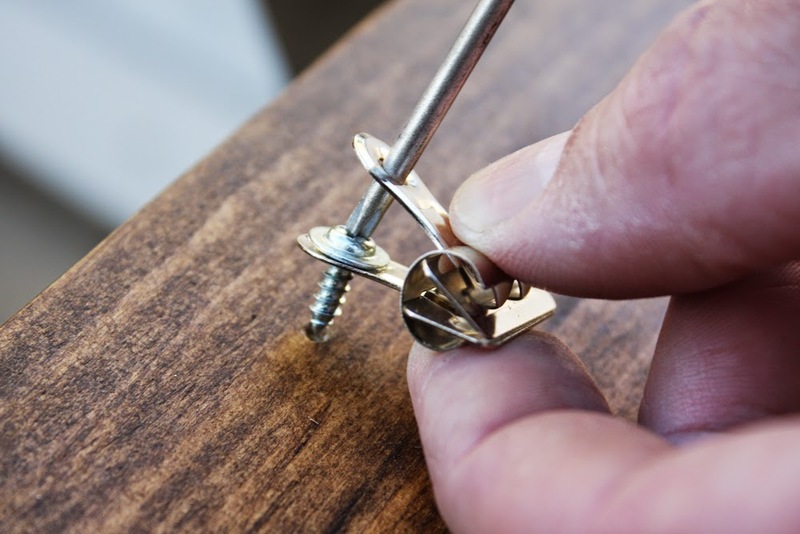 Slip a small screwdriver through the front hole of the clip and tighten the screws. 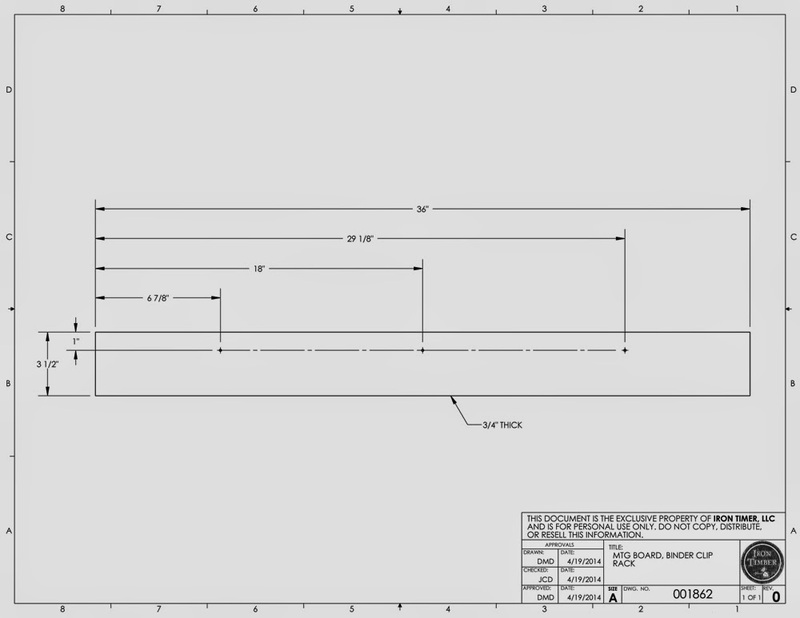 Click on the image below for a printable drawing with all dimensions. We screwed the display racks directly into the wall (using drywall anchors) down a long hallway. 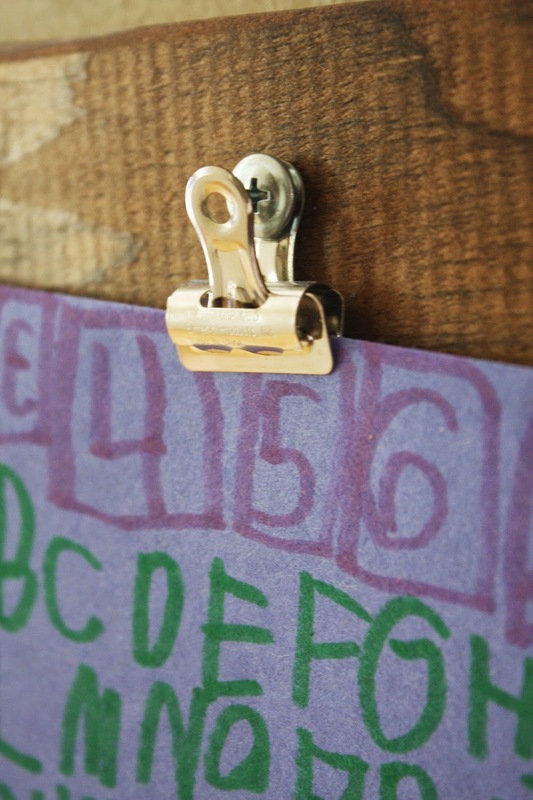 We just put one screw right below the middle clip so it would be hidden by papers and used a small ball of mounting putty (Fun-Tak) on each side to keep them from tipping from side to side. 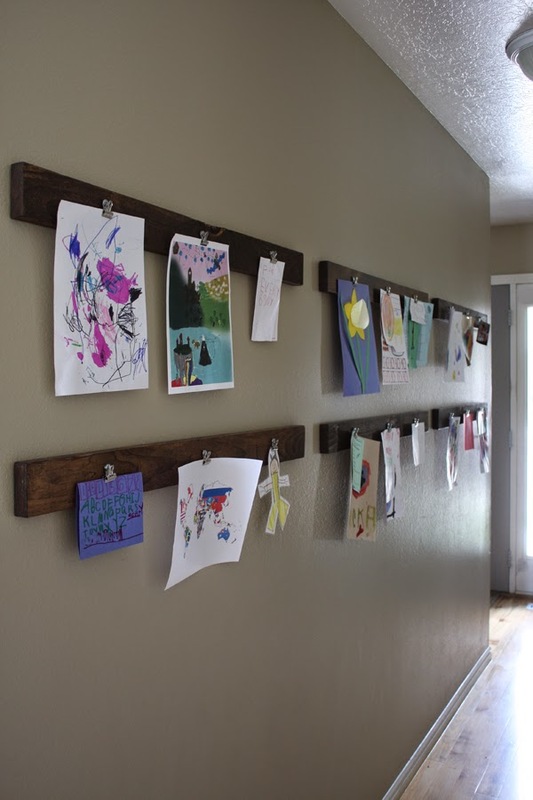 Loving all the room to hang the kids' artwork! This is such a great idea! My little ones are always so excited to see their artwork on display. Love these!